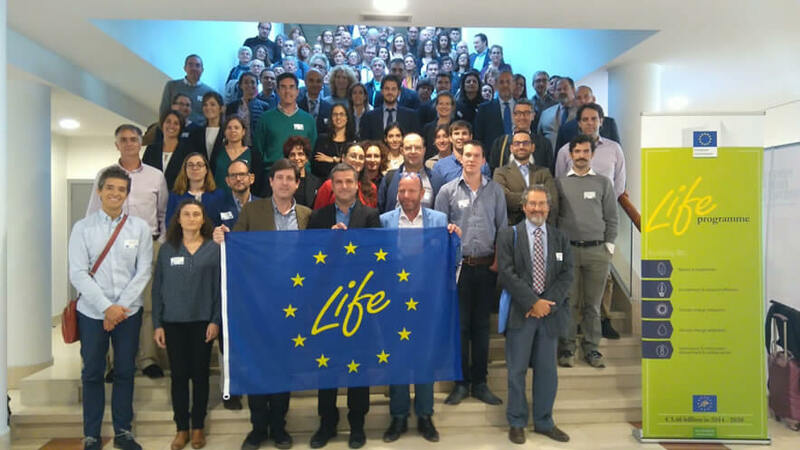 The Executive Agency for Small and Medium-sized Enterprises of the European Commission (EASME) has organized the LIFE16 meeting, held on 17 and 18 October at the MCE Conference & Business Center in Brussels, with the aim of initiating all co-financed projects by the LIFE + program of the year 2016. SERVYECO attended this event as coordinator of the LIFE NEWEST project. Once there, we presented the objectives of this project and its long-term projection. The objective of LIFE NEWEST is to reduce the impact on the environment through an innovative technological solution that allows the phosphorus removal in wastewater. This technology is based on the use of new natural based organic polymer able to improve the coagulant efficiency and replace the hazardous chemicals currently used. For all these reasons, this project was recognized by EASME and selected as one of 20 water projects financed by the European Commission. LIFE NEWEST began on September 1 and lasts four years.